In general, gambling in Japan in banned. However, there are a few exceptions, such as betting on horse racing and motor sports. Despite these exceptions, the general ban on gambling has resulted in several popular gambling resorts, such as casinos, being banned from Japan. The ban on casinos meant keen gamblers in the country weren’t able to take advantage of any casino jackpots that were up for grabs. Fortunately, in the past few years, the Liberal Democratic Party have been taking steps to open casinos in the country to boost tourism. In 2016, Japan lifted the ban on casinos after 15 years of debate. The lift on the ban allowed ‘integrated resorts’, such as casinos, to be constructed in the country alongside hotels and entertainment facilities. Despite becoming legal, the country was unable to offer casino licences to operators as the regulation of the industry was still being discussed. This will hopefully allow certain casino operators to start making plans to move to Japan. The current IR (Integrated Resorts) bill has passed through the lower house (the House of Representatives) and is now the subject of debate within the upper house, the House of Councillors, where the decision will hopefully be made. Despite opposition from minority parties and some members of the public, the current ruling party (the Liberal Democratic Party) and their coalition partner (Komeito) fully support the bill. How Will it Affect Winners? Understandably there are still various issues which need to be sorted before casino operators can move into the Japanese market; with one of these being how winners will be taxed. The government believe profits from gambling should be regarded as ’occasional income’ and subject to income tax. Paying tax on winnings is nothing new and varies from country to country. In the UK, all winnings are tax free and do not need to be declared as part of any tax returns. However, in the USA, all gambling winnings are taxed at 25%. The current plans that have been put forward suggested a 30% tax rate would be applied on all gambling winnings. 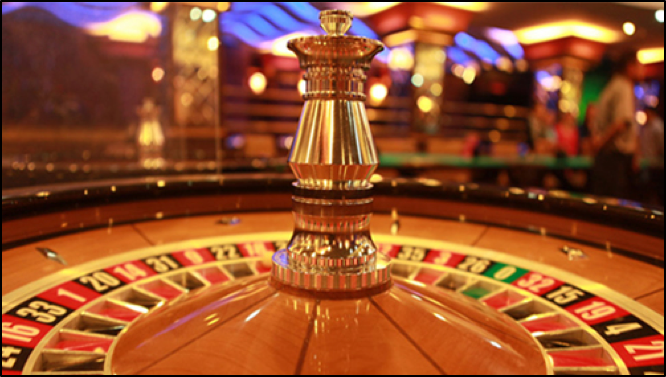 Although this tax rate has been put in place to reduce the risk of gambling addiction, there is a chance that overseas visitors will be able to avoid this tax, depending on their nationality. As of 1st July 2018, Japan currently has tax treaties with 123 states and regions,however, these treaties differ from country to country. For example, the treaties signed with USA, South Korea and countries in the EU stipulate that foreign visitors should pay tax on profits at casinos to the government of their own countries. However, the treaties with China, India, Singapore and some other countries, mean that certain overseas players who win at the casinos will pay the appropriate tax to the Japanese government. The current Prime Minister, Shinzo Abe, has long pushed for the ban of casinos to be lifted and it finally looks as though he’ll get his wish. Throughout his career he has emphasised the boost that the economy will receive with the arrival of wealthy overseas visitors from countries such as China, where gambling is banned, and other Asian countries. It is believed that just three casinos will have the potential to generate nearly £7.5 billion in profit each year, which is equivalent to 0.2% of Japan’s GDP. Investment bank CLSA also predicted that it could bring in gross revenues of around £22 billion a year. As mentioned earlier, there has been some opposition from minority parties and members of the public regarding gambling addiction. However, issues like this are the reason why the current bill is taking longer than expected to go through. In the past few weeks, 11 new resolutions were added to the bill which promises additional research into gambling and gambling addiction. The aim of these resolutions is to introduce measures to combat gambling problems and the evaluate effect it can have. There will still be opposition from some people, but these measures that are being introduced have eased the fears of some people. If everything goes well from this point forward and the bill gets approved, Japan will be able to start handing out casino licences for up to three operations. However, keen gamblers will have to wait a while until they can start visiting them as it is expected that the first casinos will not be open until 2022!